If you hear “Mexican food,” your thoughts may instantly turn to enchiladas, burritos, guacamole, Pico de Gallo and fajitas. But what comes after those savory, spicy delights? The best way to wrap up a delicious Mexican meal is with a classic Mexican dessert. Sweet and decadent, the three tasty desserts listed below never go out of style. What’s even better is they are all easy to make once you know how! Let’s take a look at these desserts and get busy planning your next adventure in Mexican cooking. This ancient recipe can be traced all the way back to Rome where chickens were first known to be used just for their eggs. This custard dish was originally a savory meal, but was so versatile that it soon became flavored with other natural ingredients, like honey. We can see an evolution of flan through the centuries and across borders. Because flan is such a simple dish to make, it became popular with many cultures, each adding their own local special touches. We can see the Spanish influence in the Mexican recipes which are traditionally sweetened with a glaze of caramelized sugar. When Columbus journeyed to the Americas, he brought with him his love of flan and his recipes. 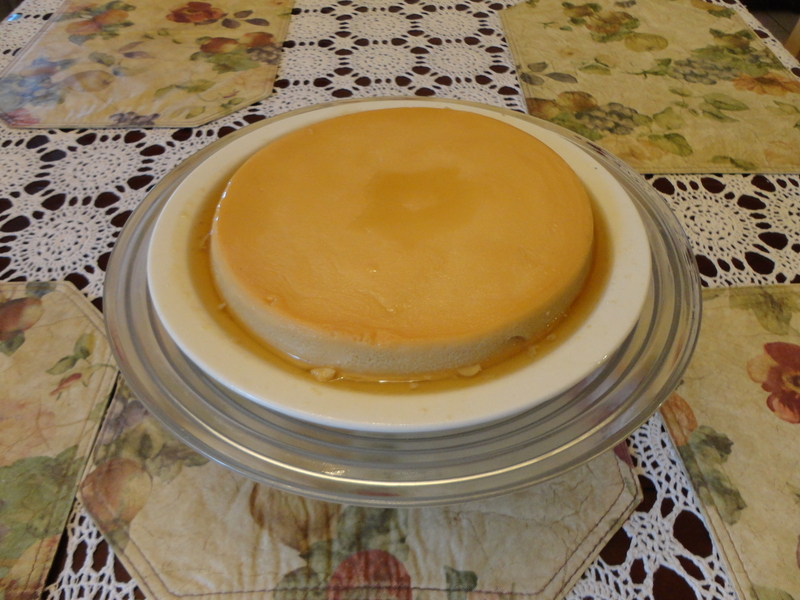 Flan became a classic dessert in Mexican homes. Chickens – and their eggs – were plentiful, making this dessert affordable for all people of any economic status. This wonderfully elegant, yet simple dessert remains virtually unchanged in Mexican cooking where it is basic custard, molded, then turned over onto a plate. It may have a caramel coating or caramelized sugar coating, and is served either room temperature or cold. Cake is good, but cake soaked in something delicious is better. Like flan, you can trace this type of cake way back to ancient times. There are soaked cakes on every continent with so many variations that it boggles the mind. For instance, rum or sherry soaked cakes are very British, while fruit juice soaked cakes are a familiar dessert in tropical regions. Cakes soaked in wine are common in Italy and France. It seems that each version has reasons why the ingredients are what they are. The Mexican version features a sweet spongy cake soaked in three kinds of milk. This dessert, the Tres Leches Cake, translates to “3 milks” cake. The origin of that term and the recipe itself is still questionable. Some believe the recipe originated with the introduction of condensed and evaporated milk. 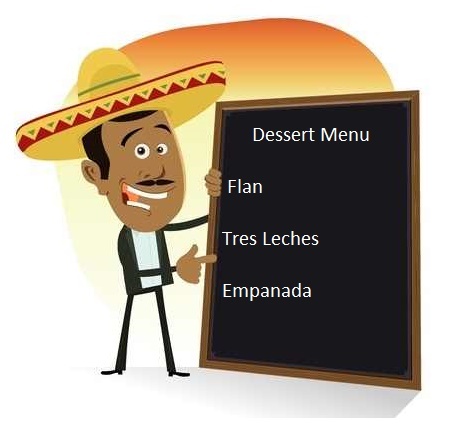 The three milks included in most recipes for Tres Leches Cake are sweetened condensed milk, evaporated milk, and heavy cream. No matter what the origin of the recipe is, the combination of these three rich milks makes one delightful dessert. You can serve your Tres Leches Cake with a layer of whipped cream sprinkled with cinnamon, topped with fruit, or plain. It’s a nice treat any way you choose. When you think of an empanada, you could be thinking of many types of foods. As a matter of fact, the word simply means a pastry. That leaves a lot to the imagination, but the basic design is the same for any recipe. The pastry itself is simple, much like a pie pastry. You form a circle or a square, spoon in the filling, fold, seal and bake or fry. The filling is what makes the dish. In this case, we are making a Mexican dessert so we are going to stick to a sweet filling. In Mexico, a dessert empanada could contain many fruits and other fillings, but what comes to mind, of course, is bananas along with another Mexican favorite, chocolate. Nuts would add a lot of flavor and texture to this dessert. As with many authentic Mexican recipes, keeping the empanada pastry plain and simple is traditional. If you want to get a little more creative, try using puff pastry instead. If you are not a fan of making homemade pastry, go ahead and use pre-made pie crusts, frozen empanada discs or other pastry dough. As long as it’s flaky, hot, and sweet, your Mexican empanada dessert will be perfect. Try your hand at these three desserts the next time you want to treat your family to something deliciously sweet after dinner. These classic Mexican desserts will become family favorites in no time! 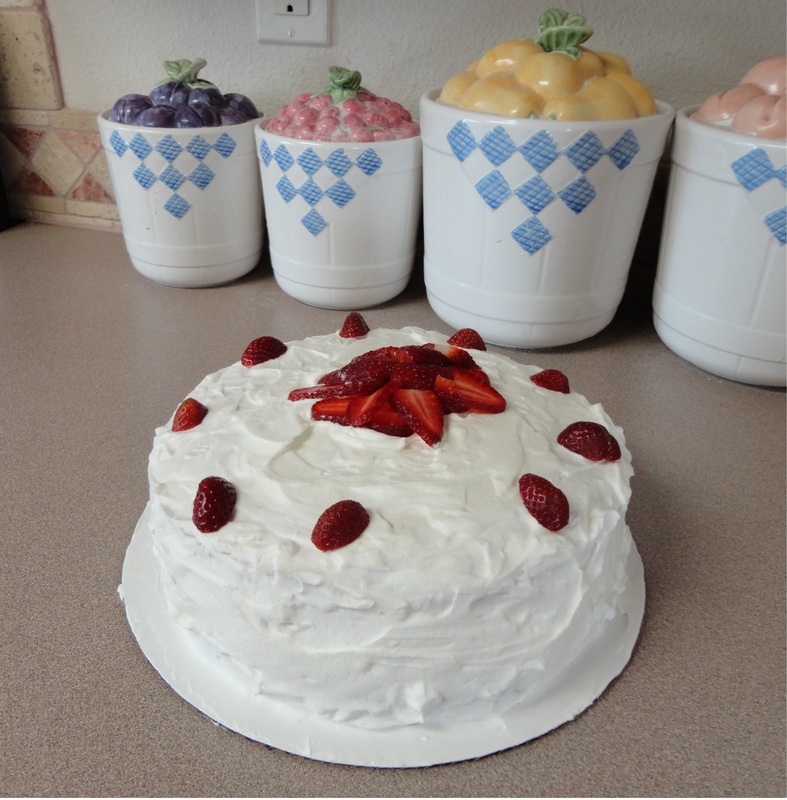 This entry was posted in Dessert, Reviews - Kitchen Utensils - Cooking - Food and tagged authentic Mexican recipes, Cake, Chocolate cake, Condensed milk, Cook, dessert, Empanadas, Flan, Home, Mexican food, Mexican recipes, Pico de Gallo, Tres Leches, Tres Leches Cake. Bookmark the permalink. Pastel de tres leches! Que buenooooo! Thanks Luis. First time I made one, the taste testers were 4 Mexican women and they all said that it was the best Tres Leches they ever had.